Do you miss your Christmas lights? I love little twinkling lights. We use a lot of string lights or lamps to have soft light around our house. I’ve been wanting to show you this project for a while. Last year I wanted a different look for our Christmas mantel, but I still wanted to use lights. I came up with this lit garland, but it ended up staying up all winter. I loved it then, and I still do! So much so, that I still make it and have one available for you at the end of this post. 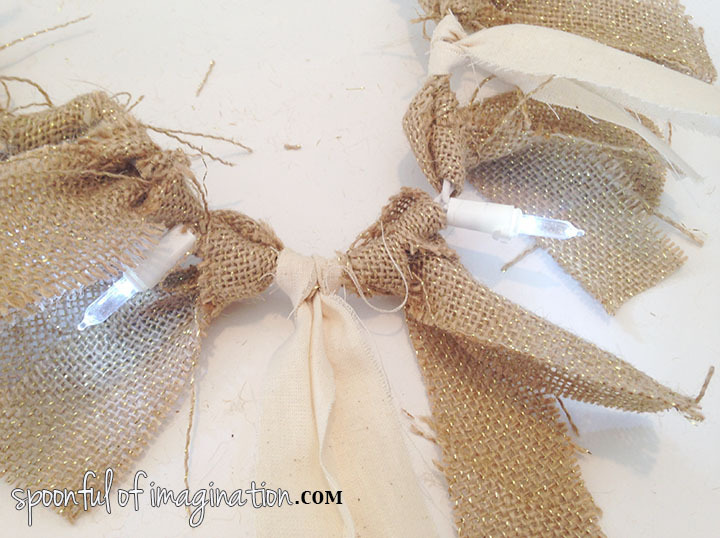 To begin, you will need a strand of Christmas lights, fabric, and scissors. That’s it! 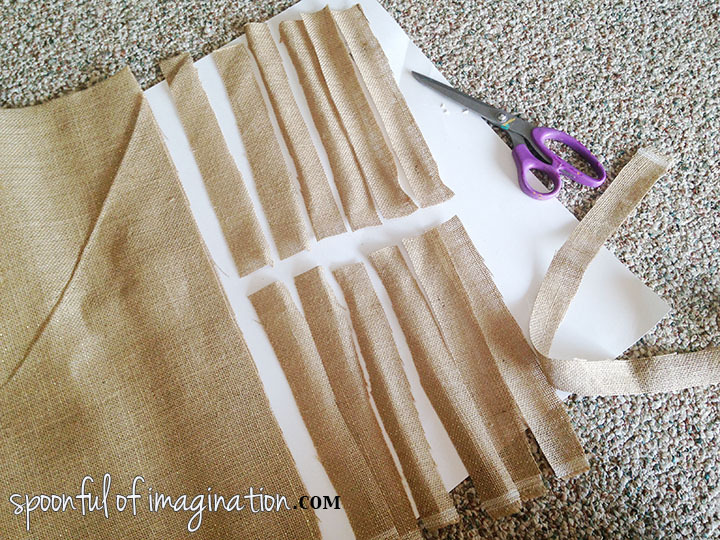 I have done both burlap and fabric…and a mix of both. There are lots of possibilities! 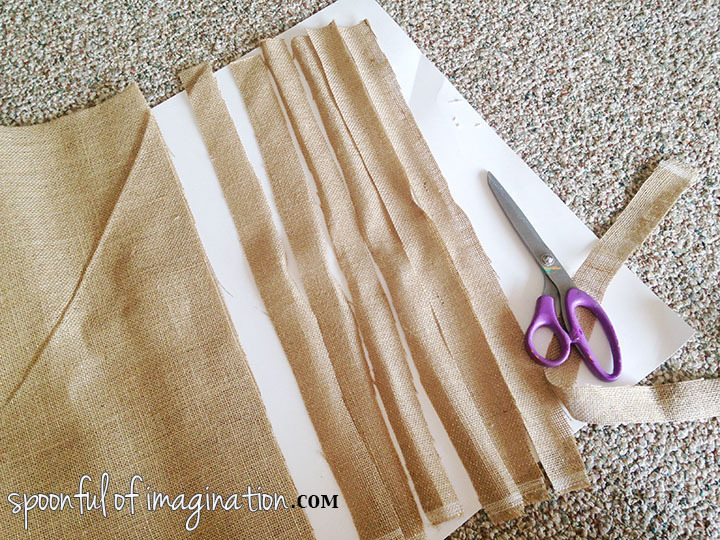 I started with cutting my burlap into strips. After I had about 1″ wide strips, I then cut those in half. Depending on the size of your light strand, how long and wide you want your strips, and how many you strips you put on your lit strand will determine how many yards of fabric you will need. 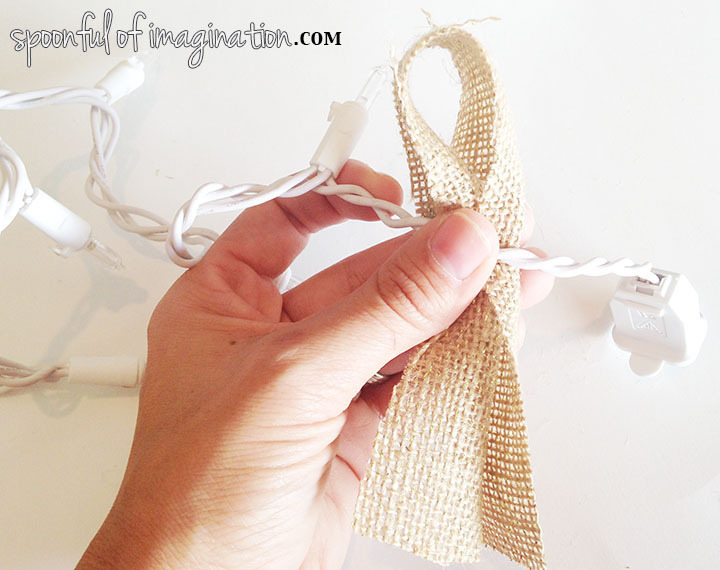 The next step is to fold one of the pieces of fabric in half and place it behind the strand of lights. 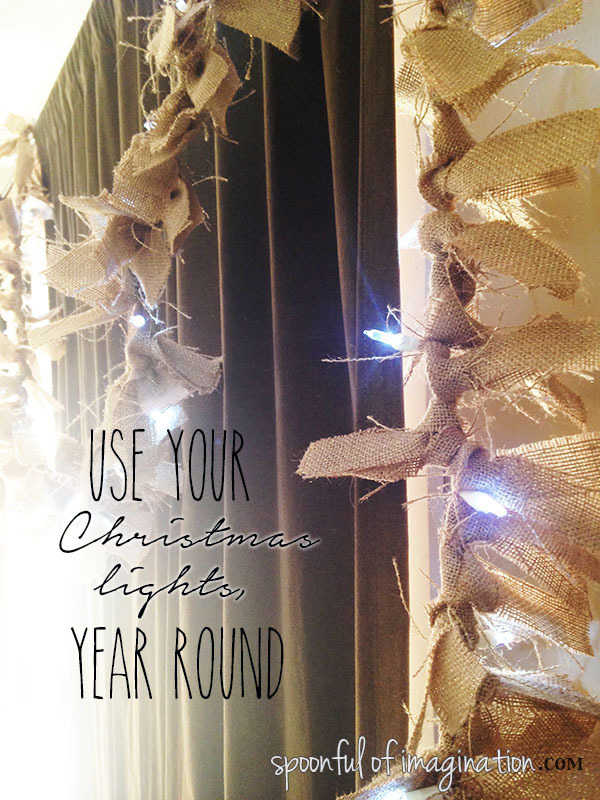 Then loop the ends of the fabric around the strand of lights and pull through that top fold in your fabric. 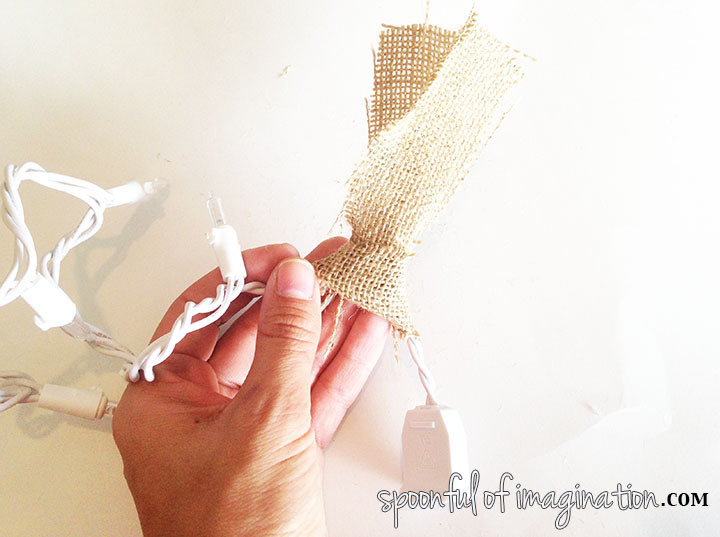 The strand of fabric will have tied itself onto the light strand. That is the primary step! From there it is just repeating of cutting strips and tying them on. 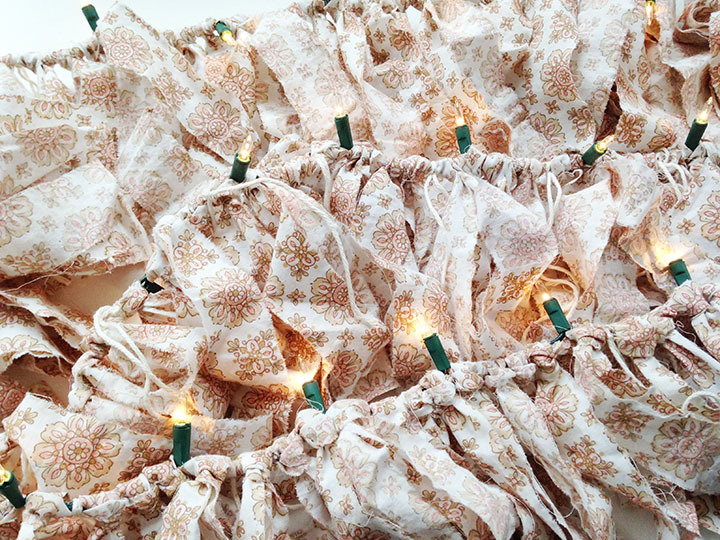 I like to create a really full garland, so I place three to four strands of fabric between each light. I think by doing this the electrical wire is really covered well. This one I am showing you, I mixed burlap with a creme fabric. I made it for a friend at Christmas. 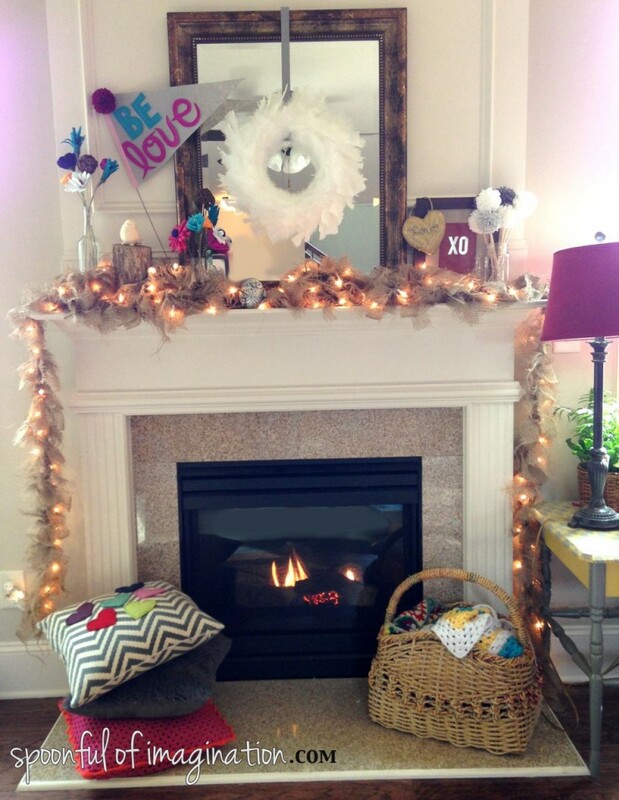 I have not found a good place for my lit garland yet, but you may remember seeing it in last year’s Valentine’s Day mantel. Once Christmas was over, I literally switched out Christmas elements and replaced it with winter ones and then just added Valentine’s Day decor like the Be Love pennant and XO Art. I feel like white Christmas lights still look good in the winter. Now that I have moved north, I really still like them with the cold and snow. It’s beautiful. 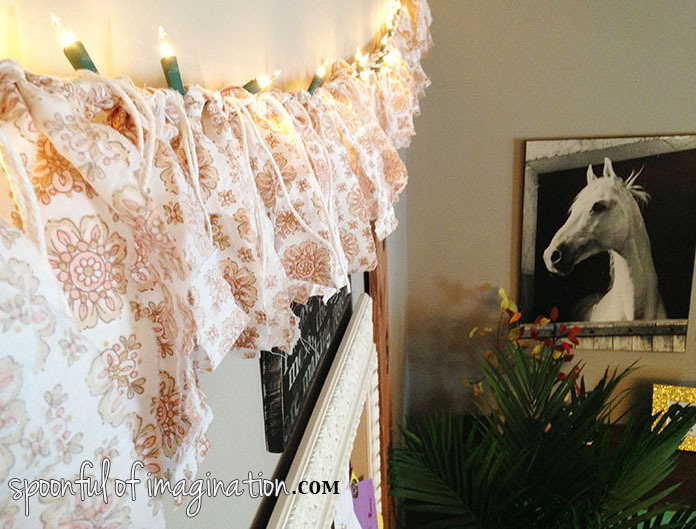 Another inexpensive way to make this lit garland would be to use an old sheet and rip strips of fabric. I made one with this idea to list for sale in my shop. I added a little string to it for another texture. 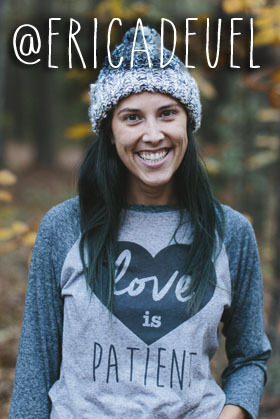 You could add ribbons, strings, beads, feathers, etc., to yours! I love how the fabric and little lights add a lot of fun to a space. 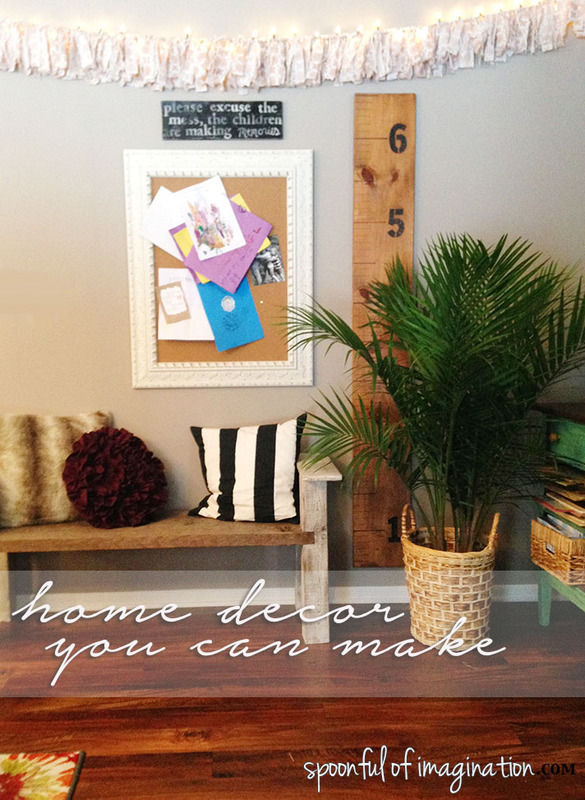 Home decor doesn’t have to be expensive. I tried this garland in my kitchen and was tempted to keep it. The added texture creates some warmth that I just love. I think it even looks pretty when it’s not lit! 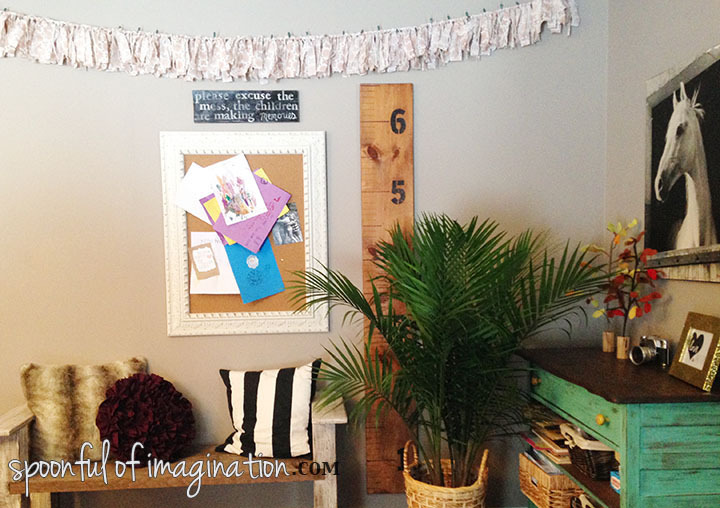 Wouldn’t this be so cute in a little girl’s room? What about you!? Do you have a thing for these fun little lights too? How do you create soft light in your home? I’d love to hear! Find me on Instagram (ericadeuel) and chat with me! If you make this, I would love to see it! If you are interested in this one, you can purchase it here.